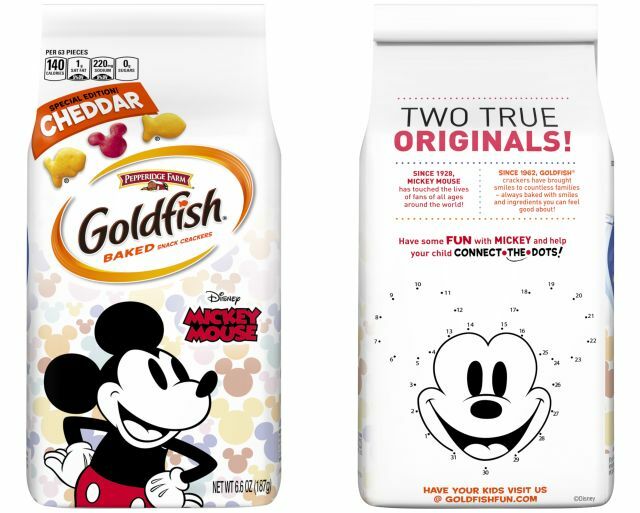 With Mickey Mouse celebrating his 90th birthday this year Campbell's has partnered with Disney to release new limited-edition Pepperidge Farm Mickey Mouse Goldfish Crackers with limited-edition Mickey-themed Campbell's Soup cans coming later this summer. 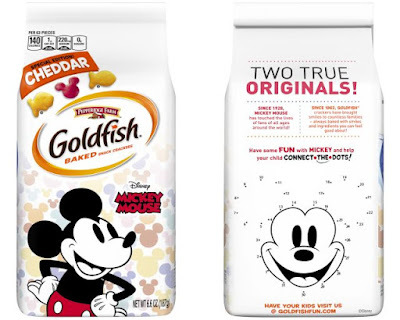 Pepperidge Farm Mickey Mouse Goldfish Crackers features a mix of regular cheddar goldfish-shaped crackers and red Mickey Mouse-shaped crackers. They are exclusively available right now at Target but will also be available nationally later this year from October 1, 2018 through October 1, 2019. 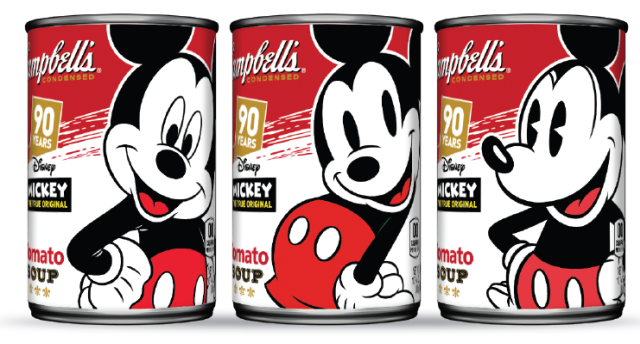 The limited-edition Campbell's Soup cans come in three different designs, each featuring a differently illustrated Mickey from throughout the years. They arrive exclusively at Target starting August 13, 2018 but will make it to other retailers later this fall.